Do you believe in miracles? They can exist in many ways in your everyday life, but only a few people actually believe in them fully. 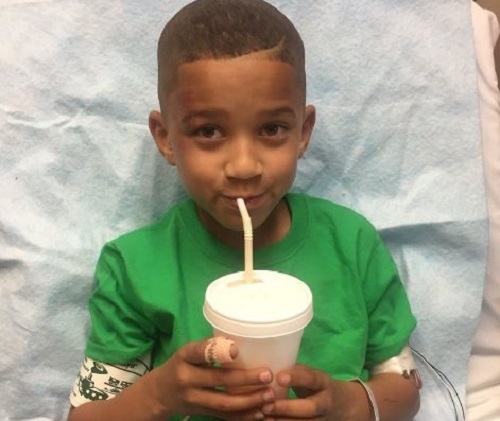 But that might change after you hear what this seven-year-old from Arizona endured after surviving a terrible car accident — and the earnest and innocent reason he believes he survived it. Styles Johnson IV was crossing the street with a friend when he was hit head-on by a car, getting thrown into the air and landing in a neighbor’s yard nearby. After being rushed to Phoenix Children’s Hospital, his family was relieved to find that Styles only had a mild concussion. His mother gave all the credit to God, but Styles had another theory — his survival from the accident was 100% because of his Spidey-sense. See, Styles is obsessed with Spider-Man. And after the accident that he survived, he’s convinced that his “Spidey senses” helped him to make it out with so few injuries. The best part? After his sister went to social media to share the incredible story, support reached far wider than they expected. From comic writer Brian Michael Bendis to Marvel Entertainment themselves, everyone is reaching out and supporting the newest Spider-Man and his recovery. It’s pretty hard to say that you don’t believe in miracles (and the perfect imaginations of children) after hearing this story.